Well, Ive only gone and done it! Ive been threatening to go and start a podcast for a while, and now there is no going back. 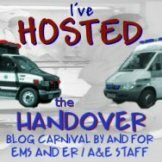 The Ambulance Matters Podcast now has its own site (www.ambulancematters.com) and whilst it is but a mere shell at the moment, it is there and it is live. Im starting to look at how to physically do the podcast thing, but in the meantime, you can hear me talk about what I hope this podcast is going to be about over at the site now. Heres the link, go take a listen then be brutally honest with me when you get back! « The start of something new! YES!!! You sir are a natural; excellent voice tone and delivery. I can not wait to hear what you have to say about things you’re involved in. It’s quite unfortunate that the emotion get lost while putting “pen to paper”, and this is what we’ve been waiting for I do believe. Ill be putting you down for a guest spot when I get up and going! My first Audio Post eh? Do I sound Canadian or what? Posted: August 5, 2010 by manquilter in Uncategorized Tags: Post by Voice ..